- A beautiful mix of Maheshwari cotton-silk and zari, this saree conjures up an image of ethnic elegance. 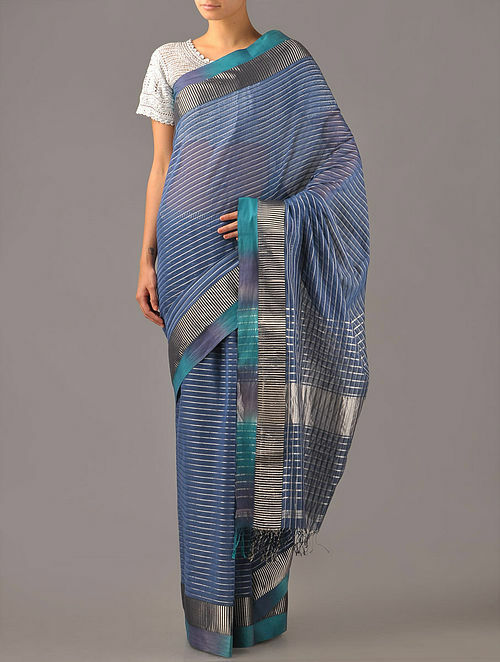 - Maheshwari sarees are one of Indias finest handloom fabric traditions woven with distinctive designs involving stripes, checks and floral borders. Dispatched in a maximum of 12 business days. Returns accepted within 7 days of delivery. Cancellation requests will be accepted strictly within 24 hours of placing the order only.